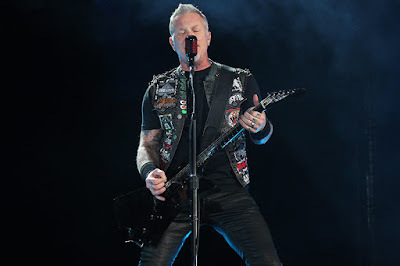 Metallica have released official live footage of the debut performance of the “Hardwired…To Self Destruct” track, “Now That We’re Dead”, from a January 11 show at the Gocheok Sky Dome in Seoul, South Korea. The band delivered the live appearance of the song – and "Halo On Fire" – as part of an 18-song set when they resumed their WorldWired tour in support of their tenth album. Metallica’s first show of 2017 will be followed by dates in China, Hong Kong and Singapore this month before heading to Copenhagen – in drummer Lars Ulrich’s native Denmark – for four concerts in February, and a series of Lollapalooza appearances in South America in late March. The group will headline the Rock On The Range festival in Columbus, OH in May – alongside Soundgarden and Korn – while fans in North America await to hear about plans for a full-scale tour. The two-disc “Hardwired…To Self Destruct” was produced by Ulrich, guitarist James Hetfield and Greg Fidelman.